December 2nd – 8th – Miami Art Fairs: The art world descends on Miami with over 20 art fairs and art events with Art Basel Miami Beach being the largest presenting over 250 galleries. For the latest and greatest make sure to ‘like’ us on Facebook or follow us on Twitter for recaps and updates. Stay in the know on exhibits and happenings by checking up on our blog. Friday, December 6th and Saturdays in December – Oakland Art Murmur and Saturday Stroll: Oakland Art Murmur shows off the best of Oakland’s gallery scene with First Friday events and Saturday strolls. Every month roughly 20 venues in Oakland’s gallery corridor offer openings, street performers, and artist talks for a lively Friday night. For a more leisurely, focused experience stop by the same galleries the next afternoon for Saturday Strolls from 1-5pm. Telegraph Ave 19 – 27th Streets, Oakland. Past, Present, Future opens on December 6th from 5:30 – 9:00pm with live music and tarot card readings. Creative Growth’s annual holiday event features works from over 100 artists, and their annual studio sale is a great place to pick up holiday gifts or a little something for your own collection. Creative Growth, 355 24th Street, Oakland. 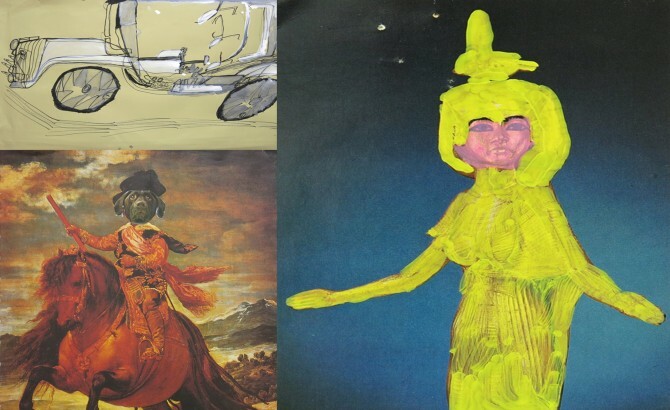 Never Done curated by Renny Pritikin at Chandra Cerrito Contemporary, opening December 6th 6-8pm. 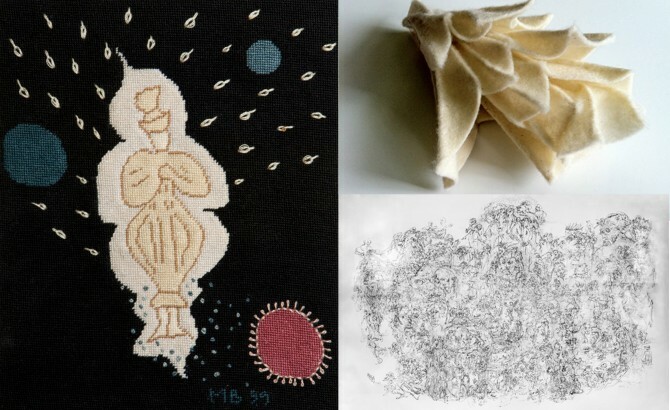 This exhibition features three female artists of three generations drawing on various techniques and materials used by their ancestors as a commentary on gender, work, and craft. Never Done is curated by Renny Pritikin who has worked previously as Director of the Richard L. Nelson Gallery and the Fine Arts Collection at the University of California, Davis and chief curator at Yerba Buena Center for the Arts. Chandra Cerrito Contemporary 480 23rd Street, Oakland. 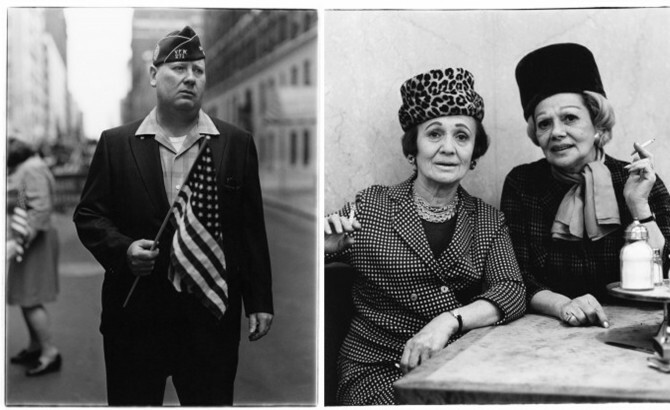 Ongoing to December 28 – Diane Arbus 1971-1956 at Fraenkel Gallery: Prolific American photographer Diane Arbus captivated viewers with her unique portraits of ‘outsider’ groups. Diane Arbus 1971–1956 examines the artist’s evolution through a series of photographs centered on various areas of interest. The exhibition’s sixty photographs are presented in reverse chronological order, spanning just before the artist’s death in 1971 backwards to her departure from commercial photography in 1956. Don’t miss your last chance to view the show. Gallery hours are Tuesday–Friday from 10:30–5:30 and Saturday from 11:00–5:00, 49 Geary Street, 4th floor. Ongoing to February 2, 2014, Dissident Futures, Yerba Buena Center for the Arts: Contemplate our ever-changing world at Dissident Futures, an exhibition focusing on biological, social, environmental, and technological innovation through art. This thought provoking collection features work by internationally renowned artists who explore themes ranging from Utopia and future civilization to how we can better utilize technology in our day to day lives. Featured artists include Neïl Beloufa, Heman Chong and Anthony Marcellini, Peter Coffin, Revital Cohen and Tuur Van Balen, Brody Condon, Future Cities Lab, Melanie Gilligan, Lynn Hershman Leeson, Shane Hope, David Huffman, Paul Laffoley, Basim Magdy, Dan Mills, The Otolith Group, Trevor Paglen, Katie Paterson, Kamau Amu Patton, Connie Samaras, and Cauleen Smith. Purchase tickets online here, museum hours are Thursday – Saturday from 12:00 – 8:00 and Sunday from 12:00 – 6:00.